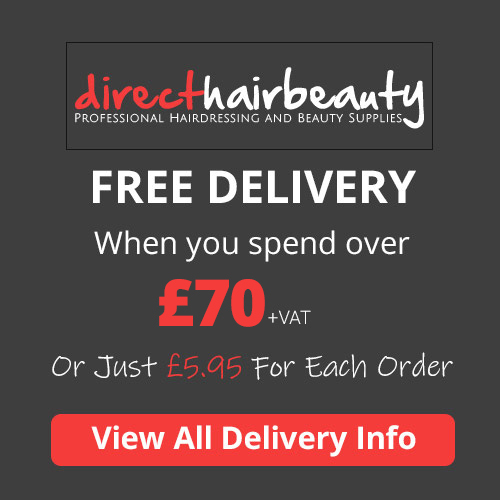 HairTools has been a leading UK supplier of essential salon styling equipment since 1996. These gorgeous curling tongs from Head Jog feature gold-titanium barrelswhich give th.. Hair Tools Double Prong Curl Clips x 72 These double prong curl clips are great for creating pin .. The Hair Tools Hair Trap is designed to keep plugholes free from hair. It's flexible to fit all ..
Great-value, heat-retaining radial brushes from the Head Jog brand. These are perfect for general st..
Head Jog Pink Brush Set. With Ceramic and Ionic Technology. Style and functionality in the very high..
Head Jog Purple Brush Set. With Ceramic and Ionic Technology. Style and functionality in the very hi..
Great value range of 3 hot brushes to create volume, lift and curls. Each has 2 tempe..
Sturdy plastic box with 5 partitioned sections that'll hold all the pins and grips you need for .. Hair Tools Section Clips x 36 Silver .. Hair Tools Standard White Plastic Roller Pins x 288 .. HAIR TOOLS TANGLE FREE VENT BRUSH ..
UPDO Rolls and Pads assist in the creation of the currently very popular vintage Hollywood glamour l.. Hair Tools Wave Hair Pins, Black 2inch x 1000. Strong, durable and useful hair pins available in var.. Hair Tools Strong, durable, waved hair grips in blonde, brown or black. 2 inches long. Supplies..
A range of 5 sizes of great-value curling tongs featuring a 2-switch temperature cont..
Hairtools Hairdryer 2000 Parlux quality at a great value price The Hair Tools 2000 hair .. Warm wood handles and ceramic barrels for comfort, control & shine. Head Jog's Ceramic Wo..
Natural wooden radial brushes with red gloss finish. Ideal for styling and grooming. ..
Slimline plastic teasing brush with ergonomic, sectioning handle and 3 rows of nylon bristles in a b..
Professional performance in a stylish compact package Measuring only 20 cm, but packing 1,..